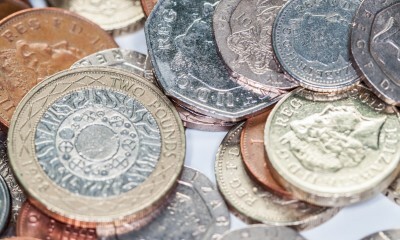 Vaultex helps customers convert coins in their tills to a balance in their bank account quickly and accurately. Speed, accuracy and security are our watchwords. All the cash we receive is credited on the day it is received by our sites. If you need a regular supply of coins to provide change for your customers, Vaultex is here to help. We facilitate swift distribution by your cash-in-transit provider – so you get the cash you need more quickly. Vaultex provides an innovative coin extraction service for The Royal Mint. Before January 2011, all 5p and 10p coins issued by The Royal Mint were made of cupro-nickel (75% copper, 25% nickel). Since then, the coin has been made of the much more cost-effective cheaper nickel-plated steel (95% steel, 5% nickel). We created a bespoke process to extract and withdraw 65% of the 5p and 10p cupro-nickel coins from circulation over a three-year period, and replace them with nickel-plated equivalents. It’s a process that has saved the UK Treasury and Taxpayer over £25 million to date. An innovative coin extraction project for the Royal Mint that’s saving the taxpayer millions.